Your rent is due in advance on the first of each month. See below for the different ways to pay. Most tenants now use allpay to pay their rent, as it’s very flexible. See below for information or download our leaflet. If you prefer to pay weekly, contact us. To request a copy of your rent statement, email us or phone 03000 200 217. Download the right app for your smartphone by clicking on the relevant button to the right, or below if you are viewing on a smaller device. To pay by text message, click here. If it’s your first time, follow the register instructions. Pay by cash, debit or credit card at the Post Office, or look for the PayPoint or Payzone logo. allpay is a card payment system which many housing associations use to help residents pay their rent. Your allpay card has a unique number. Use it every time you pay your rent. It doesn’t hold any money, but makes sure your rent goes straight to the right account. 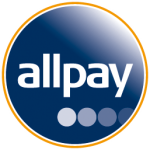 allpay can be used online, in person, on the phone and by text. Where can allpay cards be used? allpay cards can be used at Post Offices and shops showing the Payzone and Paypoint sign. Yes. The card has no value and can only be used to pay your housing association. If you lose your allpay card, please contact Eildon Housing Association for a replacement. Note: Your allpay card just contains your unique tenant information. You still need your debit or credit card or cash. Tell your bank to pay your rent directly from your bank account every month or week. Download a Direct Debit form, or request a form to be sent to you by phoning 03000 200 217. Have your credit or debit card ready, and ring us during office hours on 03000 200 217. Pay by cash, cheque, credit or debit card at our Head Office, during office hours. Your cheque should be made payable to Eildon Housing Association Ltd.
Write your name and address on the back of the cheque.